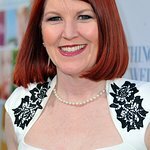 Adam Carolla (“Celebrity Apprentice”) & Kate Flannery (“The Office”) headline the 11th Annual Comedy for a Care fundraiser for Tuberous Sclerosis Alliance. Also featured in this video: TS Alliance CEO Kari Carlson & comedian Jim Jeffries. TS Alliance (Tuberous Sclerosis Alliance) was founded in 1974 by parents of children with TSC who saw the need to educate the public and medical community about the disorder.